How does a CT scanner work? 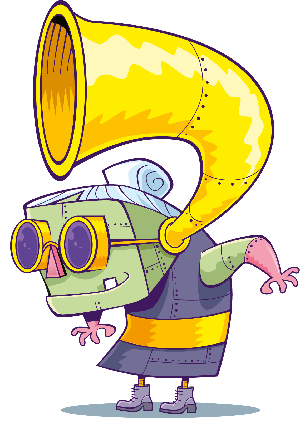 Body has swallowed Professor Hallux’s keys to the fridge, after hearing Nurse Nanobot tell him he needed more iron in his diet! Whoops! Now Body isn’t very well and he’s in lots of pain! The only thing is, they need to know exactly where the keys are in Body’s body, and they need some cool gadgets to help. Professor Hallux, Nurse Nanobot and Body have made their way to the Imaging Department at their local hospital where different types of imaging is undertaken to see inside a body, using a variety of different scanning machines. There’s one type of scanner that allows us to see inside our bodies by using X-rays to take images in very fine slices through the part of the body that a doctor has asked to be investigated – the CT Scanner. 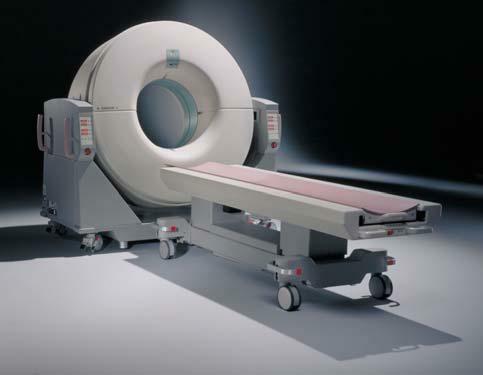 CT stands for Computerized Axial Tomography – originally they were called CAT scanners, but after confusion from some people trying to see what their cats had eaten, the ‘A’ was dropped! 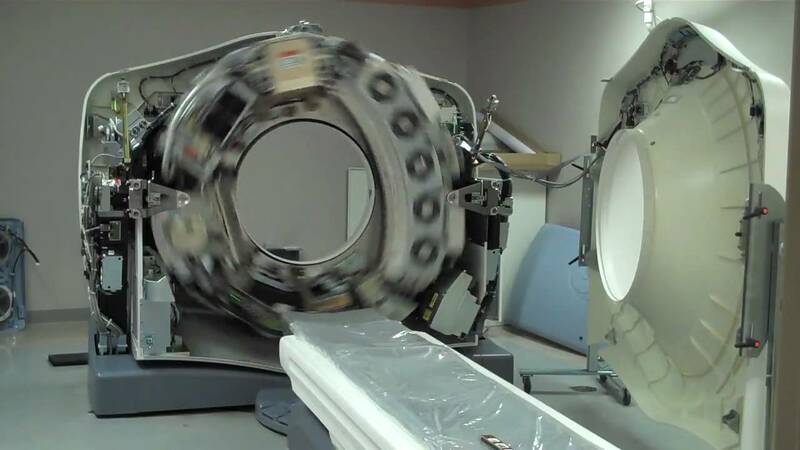 CT scanners look like a massive doughnut, because the X-Ray machine needs to rotate around your body to make lots of pictures. One way to think of CT scans is to think of it taking slices through a loaf of bread. When CT scanners were first invented, they took images one slice at a time and were very VERY slow. 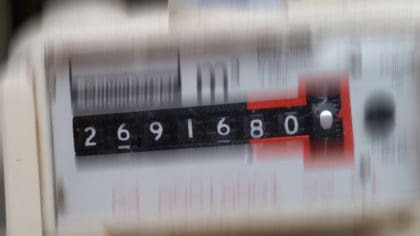 Modern scanners are much faster – they can create images in seconds, rather than say 30 minutes that it used to take! Modern CT scanners take more than one slice image at a time, in fact as many as 320 slices each time the X-ray beam passes around you – and each one is less than 1mm thick! Don’t worry, it’s just the images that are in slices! You stay in one big lovely piece. You won’t even feel the scan! All these slices are put together to make a very detailed picture of your insides, even creating 3D images. If a person has had treatment for a disease like cancer, which can pop up in more than one part of the body, CT scans can be a great way to give their insides a very thorough check up to make sure the cancer hasn’t sneaked back. When you turn up for a CT scan, the radiographer might need you to have an injection of dye, or sometimes a drink. This will help to make your insides easier to see on the scan. The dye isn’t harmful but it might feel kind of warm and funny. 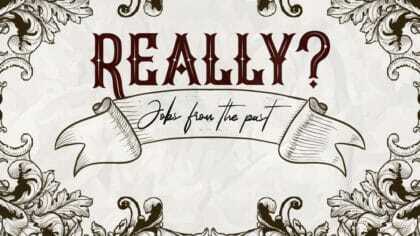 It’s also likely you’ll be asked to wear a very fetching hospital gown! The gown just makes it easier to get a good clear image. Clothing can get in the way, or create lumps and bumps that’ll stop the machinery getting a good clear view. You will lie down on a motorised couch that moves in and out of the doughnut. Usually the scan is taken with you lying on your back, although sometimes you will be asked to lie on your side or your front. Instead of shining the beam through the body in just one direction, the X-ray beam in a CT scan passes in a circle around the body and creates a picture “slice” through the area. After each slice is completed, the couch on which you are lying moves forward a small distance and another image is taken. With lots of slices, you can make pictures of the body from different angles and also 3D models. This helps doctors see larger areas of the body and the movement of things like blood flow. Like lots of the scans in the Imaging Department, it’s important to try not to move during the scan as it will blur the pictures and make them harder for the radiologist to interpret – just like if you move when you having your photo taken! A blurred picture can be very difficult to make anything out! The radiographer will leave the room during the scan but will see you through a big window and will talk with you through an intercom. Several scans will be carried out but the whole process will only last a few minutes. The amount of radiation you’re exposed to during a CT scan varies, depending on how much of your body is scanned. But don’t worry – you only exposed to the smallest amount of radiation that needed to get good images. 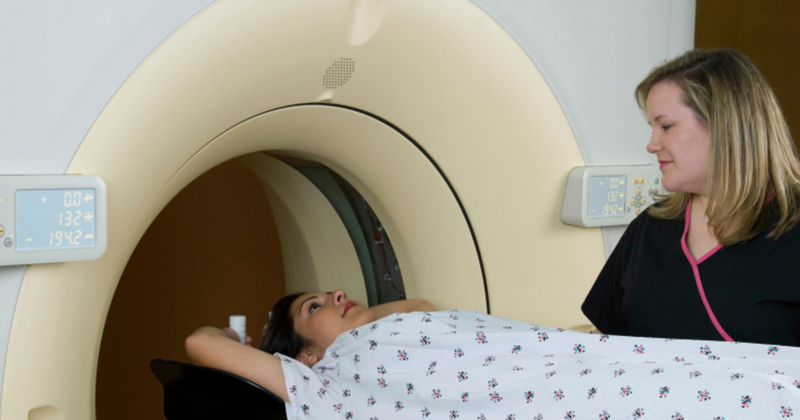 CT scanners are designed to make sure you’re not exposed to unnecessarily high levels. Generally, the amount of radiation you’re exposed to during each scan is the equivalent to between a few months and a few years of exposure to natural radiation from the environment. Radiologists are trained to use the lowest possible radiation dose to achieve images they need. 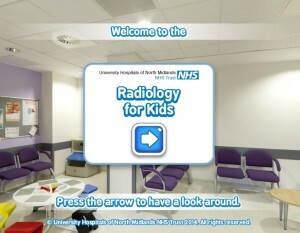 Click here for a virtual tour of a real Imaging Department! Click on a topic below to explore more radiology!